What to do with a £72m windfall? If you're Stelios Haji-Ioannou the answer is start a new airline. The larger than life EasyEverything entrepreneur has told bosses at EasyJet that he is planning to launch a rival outfit called FastJet. Not the way that said bosses would have chosen to start the week, we’d hazard a guess – especially when that new rival is your own founder and largest single shareholder, and you have just authorised a special dividend which will mean him pocketing a cool £72m. That’s a handy chunk of seed capital by anyone’s reckoning. 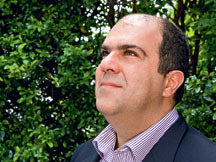 Stelios, who introduced low-cost travel to the UK masses when EasyJet got off the ground in 1995 – has of course been engaged in a series of high-profile spats with the management of the firm for some years now. We can’t help feeling that he wishes he was still in the pilot’s seat, so to speak. He has had two basic beefs – firstly, that the firm is planning to buy new planes from Airbus at a time when Stelios thinks it should be cutting capacity and reducing costs. And, secondly, the not unrelated point that it has not been returning enough value to its shareholders (of which he is of course the largest). In response, EasyJet’s management has stated that it will ‘take necessary action to protect the rights of easyJet and the interests of its shareholders’ should any potential infringement of its contractual rights emerge. And who can blame them? The most sanguine of directors could be forgiven a degree of consternation in what are pretty exceptional circumstances. Of course the whole thing could turn out to be an elaborate ruse, just another stage in Stelios’s campaign to get EasyJet heading in his preferred strategic direction. But given his track record, we wouldn’t like to bank on it. Can Richard Branson's Virgin Galactic soar again? Will Heathrow's third runway ever take off?